Guadalupe Garcia McCall’s (English) book, All the Stars Denied, was named as one of the “2019 Best Children’s Books of the Year” in the Fourteen and Up Category by Bank Street College of Education. Paul Anderson (Christian studies) published a review of The History Channel’s “Life of Jesus” series on The Bible and Interpretation website earlier this month. His piece reviews the episode “Jesus: His Life from the Perspectives of Judas and Pilate (Pt. 3).” He also spoke in Albany for the Linn Genealogical Society on “The Quaker Family Tree, and America as ‘The Holy Experiment’” on April 6. Jamie Noling-Auth (Spiritual and Intercultural Life) was among 41 administrators in higher education nationwide selected by the Council of Independent Colleges (CIC) to participate in the 2019-20 Senior Leadership Academy. Those chosen for the year-long program are leaders in higher education who have been identified by their institutions as having the potential for more senior leadership positions in independent colleges or universities. Jamie will take part in a mentoring program, work with experts, participate in webinars, and engage in a series of readings and case studies during the academic year. Ed Higgins (English Faculty Emeritus) published a spring celebration poem, “Surge of Green,” in the April 14 edition of the online nature/environment magazine Plum Tree Tavern. Alumna Jenna Holmes has joined the university as a media production specialist. After graduating from George Fox with a bachelor’s degree in cinema and media communication in 2016, she did media production work for the university from August of 2017 to January of 2018, and again from December of 2018 to the present. She also worked in the department as a work-study student from 2013 to 2016. Outside of George Fox, Jenna has run her own freelance photography and videography business, Jenna Holmes Photography, since 2014. Jenna enjoys traveling and has been to South Africa, Australia, The Dominican Republic, and Germany. She lives in Tualatin with her two cats, Dipper and Padfoot, and attends Northside Community Church. She also leads middle schoolers for Newberg Young Life. Plant services welcomed Shirley Eckerdt as a groundskeeper last month. She joins the department full time after working on a temp basis between May and December of 2018. For two years (2016-18) she worked as a personal assistant for a local citizen, and since 2013 she has done numerous volunteer jobs for the school’s plant services department and the Newberg community. She lives in Newberg and is married to Gary, who works at George Fox as a mechanic. Tai Harden-Moore (Academic Affairs) coauthored an article, “Moving from Ally to Accomplice: How Far Are You Willing to Go to Disrupt Racism in the Workplace?,” in the March 4, 2019, issue of Diverse Issues in Higher Education. In addition, Tai was recently awarded the 2019 “Alum of Service” award by her alma mater, Eastern Washington University. Paul Anderson’s (Christian Studies) essay for the third Princeton-Prague Symposium on Jesus Research, “Why the Gospel of John is Fundamental to Jesus Research,” was published in The Gospel of John in Historical Inquiry. 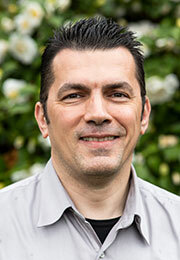 In addition, his essay, “Elizabeth Fry – A Note-Worthy Friend,” was published in Northwest Yearly Meeting’s Connection, and his first of four reviews of the History Channel’s “Jesus: His Life” was published on The Bible and Interpretation site in March. Paul also presented on “Seeing the Word of God – The Illuminative Power of The Saint John’s Bible” at the Faber Institute Night School in Portland and Beaverton, and he was recently interviewed by Carrie Palmer and Joshua Lindley, along with Richard Foster’s editor, Roy Carlisle, on “Spirituality, Community, and Micah 6:8” for a TableThink podcast. 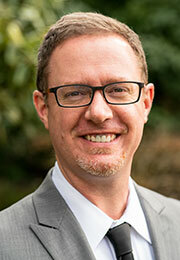 Kyle Dickinson has joined the university as executive director for development. He brings more than 15 years of leadership-level experience at faith-based nonprofit agencies, working most recently as vice president of Dickinson Development Consulting Inc. of Salem, where he offered capital campaign management, development director coaching, and coaching and strategic planning expertise since 2015. Prior to that, he spent three years as vice president of advancement for Union Gospel Mission in Salem, providing leadership and supervision to the organization’s development department. Previously, he worked for a year and a half (2010-11) as a small group director at Cornerstone Church in San Francisco, and, from 2001 to 2009, was a campus staff and a team leader for InterVarsity Christian Fellowship in the San Francisco and Sacramento areas. Kyle is currently enrolled in George Fox’s MBA program and holds a bachelor’s degree in communications from California State University (2001). He is active in the community as president of the board of directors of the Salem Leadership Foundation, as a Salem Area Chamber of Commerce member, and as an elder council member, speaker, group leader and worship team member at Salem Alliance Church. Kyle is married to Joy and they have two children: Mia (11) and Nathan (8). Jesse Richards has transitioned from the IDEA Center to work as associate director of development. Clella Jaffe (Communication Arts, Emerita) presented “Three Sources of Evidence: Objectivism, Subjectivism, and Tradition” in a roundtable discussion group titled “What Counts as Evidence in Moral Reasoning?” at a meeting of the Western States Communication Association in Seattle on Feb. 23. Kelly Chang and Sue O’Donnell (Psychology) collaborated with seven psychology majors to present four posters at the national convention of the Society for Personality and Social Psychology in Portland in February. Chang presented “Different forms of happiness and resilience for high school and university students in Nicaragua” with students Ryan Johnson, Cameron Stumpf and Madison Hancock; “Character strengths, well-being, and school engagement among youth in the Peruvian Amazon” with Richter scholars Nika Griffith and Abigail Bullock; and “Psychological influences of acting techniques in undergraduate theatre students” with Richter scholar Hannah Strawn. O’Donnell presented “Personality as an identity domain: The identity centrality of narrow and Big Five traits” with Richter scholar Ashton Hoffman. Wendy Flint (IDEA Center) presented “Strategies for Managing an Integrated Academic and Career Advising Center” at the 2019 Region 8 NACADA Conference in Calgary, Canada, on March 9. NACADA is a global academic advising association. She received a scholarship to attend the conference, which drew 400 attendees from the Northwest and Canada. Corban Harwood (Mathematics) recently published an article, “Lost at Sea: Introduction to Numerical Methods through Navigation,” in SIMIODE, a mathematics resource dedicated to teaching differential equations using modeling and technology upfront and throughout the learning process. His piece analyzed differential equations as they apply to navigation in today’s sea, air and spacecraft. Along with Brian Snider (Computer Science), Walker Orr (Computer Science) and Peter Otto (Willamette University), Corban presented “Philosophical Challenges and Opportunities for the Mathematical Sciences,” a panel discussion on Big Data algorithms and academic preparation, at the Oregon Academy of Sciences in February. In January, Corban presented “Flipping Differential Equations” at the 2019 Joint Mathematics Meeting to encourage active, inquiry-based pedagogy. Guadalupe Garcia McCall’s (English) book, All the Stars Denied, has been named a finalist for the Texas Institute of Letters’ “Best Young Adult Book” award. The TIL is a nonprofit honor society founded in 1936 to celebrate Texas literature and recognize distinctive literary achievement. Danielle N. Pappas (Counseling) presented a lecture at the annual conference for the National Association of School Psychologists in Atlanta on the topic of culturally and linguistically diverse students and autism spectrum disorders. The presentation was designed to develop skills in identifying autism spectrum characteristics in culturally linguistically diverse (CLD) students. CLD students can display developmentally and culturally appropriate behaviors that mimic or coincide with a variety of ASD characteristics or manifestations. By taking into consideration the influence of cultural and linguistic diversity on behavior, this workshop helped develop culturally competent skills in evaluating CLD students for autism spectrum disorders. The session also discussed the cultural sensitivity of common evaluation tools and how to navigate the evaluation process with these tools. Nicole M. Enzinger (Education) published a chapter, “Integers as Directed Quantities,” in a Springer book called Constructing Number, edited by Anderson Norton (Virgina Tech) and Martha Alibali (University of Wisconsin). Nicole’s chapter on children’s thinking about integers is part of a book that synergies research across two disciplines, mathematics education and psychology, and addresses how children construct number. Sierra Neiman Westbrook (College of Christian Studies) published an article, “Choose Your Own Adventure: A Very Egalitarian Proposal,” in the Spring 2019 issue of Mutuality magazine, published by Christians for Biblical Equality (CBE). Ed Higgins (English Emeritus) published his poem “We two” in the Winter 2019 (Issue 11) of Blue Heron Review. In addition, Ed’s poem “Reversal” was reprinted on the Christian Feminism Today website on March 11. A recent George Fox graduate, Jake Thiessen, has joined the university’s marketing communications office as a content specialist. He assumes the position full time after taking the job on a temporary basis in January. His main responsibility will involve creating social media and video content for the department. Jake graduated from George Fox in December of 2018 with a bachelor’s degree in cinema and media communication. During his time as a student, he worked as a content producer in the marketing communications department (2017-18) and worked as a post-production intern with the Portland-based R2C Group last summer. He was also a resident assistant for the university in 2016-17. Jake enjoys drumming, identifying clouds and reciting the alphabet backwards. He lives in Happy Valley and attends Happy Valley Evangelical Church. Alumna Leah Gomes joined the university to work as an enrollment counselor for the school’s Adult Degree Program. For the past three years she has worked as a third-grade teacher at Newby Elementary School in McMinnville. Previously, from 2009 to 2014, she was a student teacher supervisor at Linfield College, providing guidance to pre-service teachers. Also, from 2011 to 2015, Leah was part of a teaching team at Coast Hills Community Church in McMinnville, functioning as a member of a team responsible for delivering weekly messages. 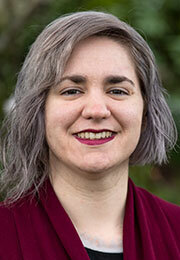 She holds a master of arts in teaching degree (1998) and a bachelor’s degree in psychology (1996), both from George Fox. Leah lives in McMinnville with her husband Jarvis and children Emma (18) and Kaden (15). The family attends McMinnville Covenant Church. 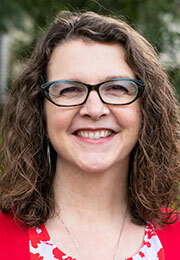 Jen Macnab (Registrar’s Office) and Jennifer Lichtenberg (Counseling) have left the university. 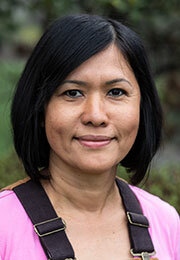 Sara Reamy will be transitioning to her new role as director of alumni relations on March 11. Nathan McDaniel (Plant Services) is taking on a new role as landscape installation technician. Rebekah Hanson (Music) presented a lecture, “How Chamber Music can Enhance Large Ensembles,” at the Northwest Conference for Music Educators. The goal of the presentation was to help music educators create collaborative and student-led learning environments by promoting engagement, community and connection through small ensembles. Hanson also directed the university’s Chamber Orchestra at the conference. The ensemble performed a set of pieces from Argentina, Cuba, Hungry and Spain, titled “Tangos & More.” They will be performing a few of the works at the Chamber Music Concert at 7:30 p.m. on Thursday, April 11, in Bauman Auditorium. Ed Higgins (English Emeritus) recent published two poems: “Sisyphus” appeared in the Feb. 26 edition of the online publication Mediterranean Poetry, and“Reversal” was included in the print edition of the Spring 2019 issue of The Windhover: A Journal of Christian Literature, created by the English department at the University of Mary Hardin-Baylor. Anderson Campbell (College of Christian Studies) presented “Listening to God: An Introduction to Contemplative Prayer” at the Jubilee Conference in Pittsburgh, Pennsylvania, Feb. 22-24. Jubilee is an annual conference attended by thousands of college students from more than 140 colleges across the United States. Publisher’s Weekly has announced the publication of a picture book anthology, Take the Mic, that will include a poem by Guadalupe Garcia McCall (English), titled “Quinceañera at the Capitol.” The collection will feature 14 young, contemporary, American activists, each spotlighted by a well-known poet. It is scheduled to be published in the fall of 2020. Several employees received shout-out recognition from their colleagues at last week’s all-employee meeting: Marcus Peters, Courtney Elrod, Mary Cameron, Chris Casey, Grace Tissell, Teresa Lamm, Scott Barnett, Jennifer Lichtenberg, Tamara Reams, John Regier, Colleen Sump, Chuck Rouse, Fred Smith and the library staff/faculty. To read about each person in detail, visit this link. Jeff Woods (Campus Public Safety), Trevor Woods (Plant Services), Kristine Nelson (Nursing), Dwayne Worden (Plant Services) and Jen Klapp (Finance) have left the university. John Regier is transitioning into a new position as director of graduate, Adult Degree Program and international admissions. Employee Empowerment has some structural changes to announce. Katie Sol is now associate director of employee empowerment, responsible for compensation, classification and payroll; Beth Hampton is now a student employment specialist, responsible for student employment and payroll; Kasondra Silva is now a benefits and systems administrator, responsible for employee benefits and HR systems; and Kara Holcombe is a recruiting and training manager, responsible for employee recruitment, onboarding and training. Check out the department’s webpage or contact ee@georgefox.edu if you need to know who to contact for assistance. 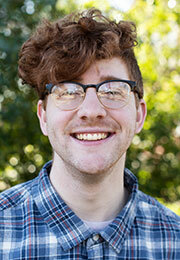 Aaron Geist is assuming the position of associate director of financial aid. Matt Williams is transitioning into the role of groundskeeper II in the plant services department. Young-IL Kim (Sociology) teamed with a student, Isaak Swan, to publish an article, “Religious Heterogamy, Marital Quality, and Paternal Engagement,” in the Feb. 10 edition of the journal Religions, an international, interdisciplinary, peer-reviewed, open-access journal on religions and theology, published monthly online by the Multidisciplinary Digital Publishing Institute. Patrick Kelley (Graduate Admissions) and Darby Thiessen (Employee Empowerment) have left the university.